For those who prefer the classic styling of a traditional gown, Dimitra Designs offers elegant lace bridal gowns. Lace gowns feature delicate patterns reminiscent of the whimsical dresses worn in the Victorian era. From vintage inspired designs to modern elegance, the cuts of these dresses are as varied as their intricate lace motifs. 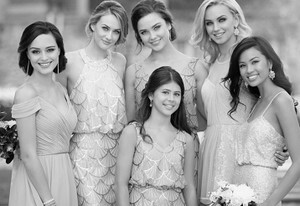 Whether you choose a dress from Justin Alexander or Allure Couture Bridal, you can be sure the timeless beauty of a lace dress will show through as you’re walking down the aisle on your special day. Dimitra Designs is proud to offer quality wedding dresses from some of the most sought after designers. We know how important it is to find the perfect gown for your wedding. That’s what makes us one of the best bridal stores in the Upstate of South Carolina. 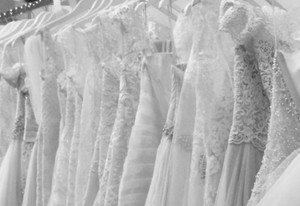 We can help you find exactly what you want in a wedding dress. Don’t see something you’re looking for? Give us a call toll free at 1-866-866-0968. Our friendly staff will be glad to answer any questions you may have, and help you find what you’re looking for.